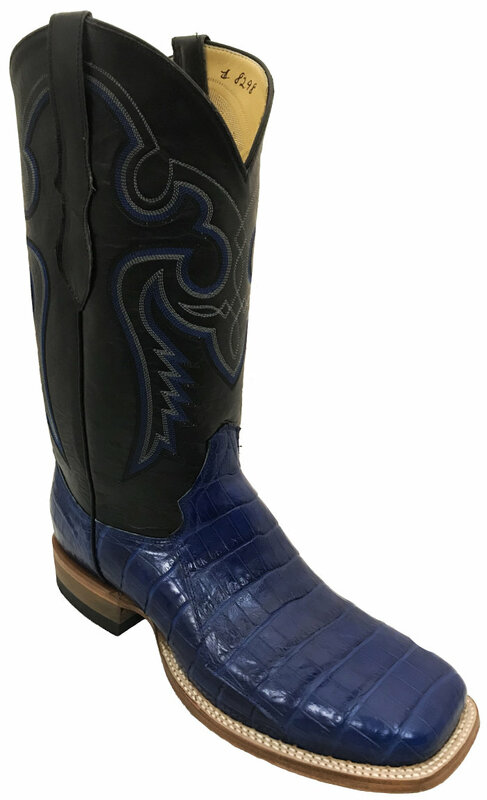 This quality Handmade Belly Alligator Boot in a beautiful blue with blue stitching is the boot to set you aside from any in the room. This is a top of the line beautiful boot. This handmade boot is custom crafted to your size available in Men's and Women's sizes. Delivery time is 45-days. 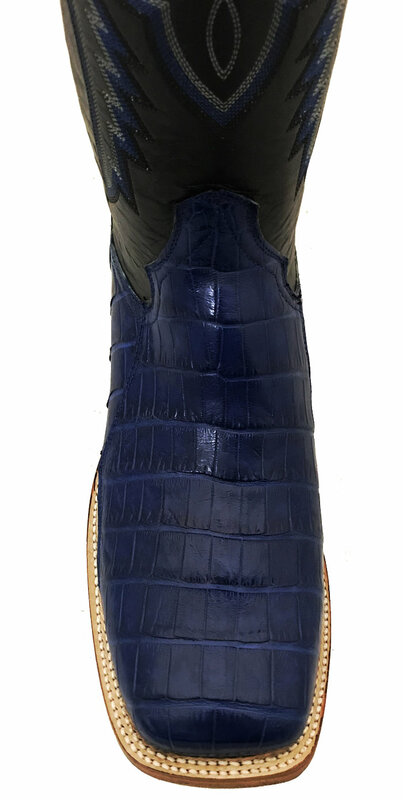 The quality of this handmade Belly Alligator Boot is beautiful to see and only for the most discriminating person that enjoys quality at its best. Height 13", J or W toe and 1 ¾" walking heel or in a Roper style with a roper heel. 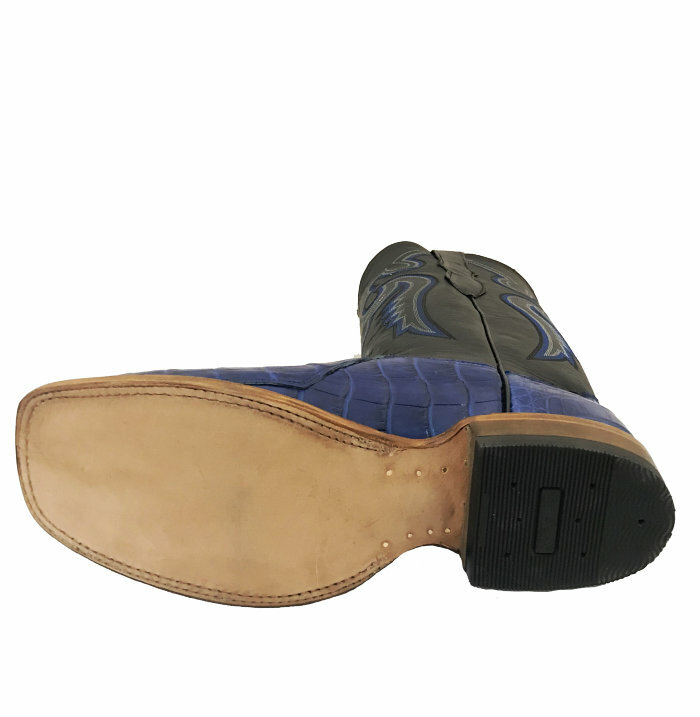 The balance of the boot is all leather, soles, insoles and leather lined. 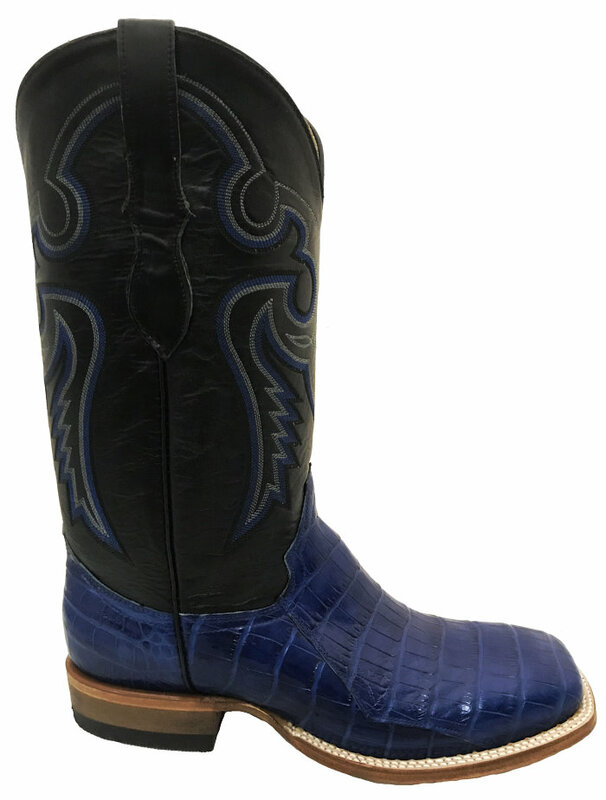 A quality handmade top of the line boot at Internet direct pricing that will save you a bundle, check it out these are priced hundreds below most Belly Alligator available on the market today.This is a boot that can be worn with pride for any occasion from formal to casual.